Home » PRIMARY ANAPLASTIC LARGE CELL LYMPHOMA OF BONE: MANAGING THE MISCELLANEOUS! PRIMARY ANAPLASTIC LARGE CELL LYMPHOMA OF BONE: MANAGING THE MISCELLANEOUS! Abstract: Anaplastic large cell lymphoma (ALCL) represents 2 to 3% of non-Hodgkin lymphoma (NHL). Anaplastic lymphoma kinase negative (ALK-) subtype accounts for 15-50% of all ALCL. Primary bone involvement in lymphoma is uncommon and constitutes less than 1% of all lymphomas and 4-5% of all extranodal NHL. Hence extra-nodal primary bone involvement in ALCL is even rarer. We report the 14th case of primary ALCL in a 38 year old Indian female. Other than the uncommon site, there is no reason not to keep NHL as differential diagnosis, as the condition responds too well to standard treatment. Keywords: ALCL, Bone, Chemotherapy, CHOP, Non-hodgkin lymphoma, Rare. Primary bone involvement in lymphoma is uncommon and constitutes about 7% of all malignant bone tumors and less than 1% of all lymphomas. Primary bone involvement may be the presentation in 4-5% of all extranodal NHL.1 Anaplastic large cell lymphoma (ALCL) represents 2 to 3% of non-Hodgkin lymphoma (NHL). Anaplastic lymphoma kinase negative (ALK-) subtype accounts for 15-50% of all ALCL.2,3 Hence extra-nodal primary bone involvement in ALCL is even rarer. To the best of our knowledge only 13 cases of ALCL with primary bone involvement have been described in literature, so far.4-10 This case is 14th overall and 2nd ALK- case of ALCL with primary involvement of bone/s. A 38-year-old woman consulted orthopedic department in our tertiary care center with seven months history of pain and swelling of right shoulder; insidious in onset, gradually progressive and associated with restricted overhead abduction movement. Managed symptomatically for couple of months, she had no relief. Six months later, she also noticed a pea-sized painless lump on left lateral aspect of scalp which rapidly increased in size to 5x4 cm at presentation (Figure 1 and 2). No associated systemic symptom like night sweats, fever, weight loss, lump elsewhere over the body or gynecological complaint was there. Magnetic resonance imaging (MRI) scans of right shoulder region revealed destructive and expansile lesion along distal end of clavicle with surrounding extension of 4.8×4.5 cm. Bone scan showed an increased uptake in right clavicle’s lateral end and left parietal bone of skull. Routine blood counts, biochemical and serologic parameters (including the lactate dehydrogenase level) and bone marrow examination were within normal range. 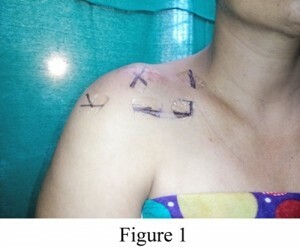 Histological examination of tissue biopsy from lateral end of clavicle showed poorly differentiated malignant round cell neoplasm (Figure 3). 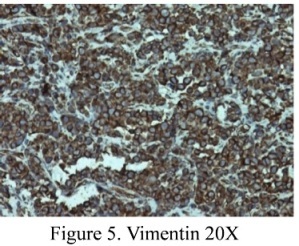 Immunohistochemical examination revealed that the atypical cells were positive for Vimentin and LCA (Figure 4, 5). On further analysis they were found to be hematolymphoid malignancy with closest resemblance to CD30 positive and ALK negative anaplastic large cell lymphoma. Clinical examination and imaging studies revealed no evidence of significant lymphadenopathy or hepato-splenomegaly. After explaining all pros and cons of treatment options, patient opted for local radiotherapy for painful shoulder followed by chemotherapy. Six courses of CHOP (Cyclophosphamide 750mg/m2 day 1, Doxorubicin 50mg/m2 day 1, Vincristine 1.5mg/m2 day 1 and P.O. Prednisolone 100mg day 1-5) were planned. To our expectations, disease responded very well. After 2 weeks of radiotherapy to shoulder, pain was 90% relieved and mass decreased. 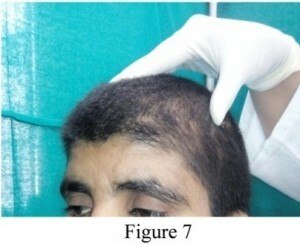 Three weeks after first course of chemotherapy, there was no clinical evidence of gross disease at either site (Figure 6, 7). Three more courses of chemotherapy were given to consolidate. 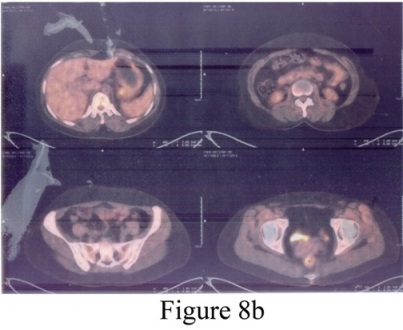 Three months after completion of chemotherapy, PET-CT (Figure 8a, 8b) revealed no evidence of metabolically active disease. Monthly follow up is planned for one year. The patient remains healthy and free of symptoms as of now (four months after completion of treatment). Primary involvement of the bone in lymphoma is rare and was first described by Oberling in 1928.15 After extensive search through medical literature, only 13 cases (excluding this one) of ALCL are known with extranodal involvement of the bone/s. The ratio of ALK+ and ALK- turns out to be 12:1. This is the 2nd case of ALK-negative ALCL. When seen first by orthopedician; ewing’s tumor, rhabdomyosarcoma, metastasis from elsewhere were kept as differential diagnosis. When subjected to imaging multiple myeloma was also among the differentials. Histopathological examination revealed it to be round cell tumor and now differentials included neuroectodermal tumor, lymphoma and metastatic deposits from lung. 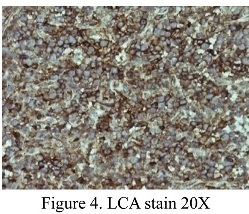 Marker study by IHC, made the diagnosis of ALK- ALCL. Primary involvement was ascertained by ruling out involvement of any other nodal or extranodal site by means of thorough clinical, radiological and marrow examination. High clinical suspicion and early immunopathological diagnosis followed by aggressive treatment approach seems to be the right protocol. These kind of cases are likely to be a transient presentation of aggressive systemic microscopic disease that is yet to be clinically apparent. Outcome is rewarding with radiotherapy and modern chemotherapy just like in usual cases of lymphoma. Feltcher-C, Unni K, Mertens F. Pathology and Genetics of tumors of soft tissue and bone: World Health Organization classification of tumors. Lyon, France: International agency for research on cancer; 2002. p. 306-8. Delsol G, Jaffe ES and Falini B. Anaplastic large cell lymphoma (ALCL), ALK In: WHO Classification of Tumours of Haematopoietic and Lymphoid Tissues. 4th edition. Swerdlow SH, Campo E, Harris NL, et al (eds). IARC, Lyon, pp312‑316, 2008. Mason DY, Harris NL, Delsol G, et al. Anaplastic large cell lymphoma, ALK negative. In: WHO Classification of Tumours of Haematopoietic and Lymphoid Tissues. 4th edition. Swerdlow SH, Campo E, Harris NL, et al (eds). IARC, Lyon, pp317‑319, 2008. Nagasaka T, Nakamura S, Medeiros LJ, Juco J, Lai R. Anaplastic large cell lymphomas presented as bone lesions. 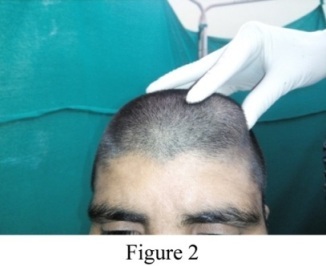 A clinic-pathologic study of six cases and review of the literature. Mod Pathol. 2000; 13:1143-9. Gianelli U, Patriarca C, Moro A, Ponzoni M, Giardini R, Massimino M, et al. Lymphomas of the bone: a pathological and clinical study of 54 cases. Int J Surg Pathol. 2002; 10:257-66. Bakhshi NA, Ross CW, Finn WG, Valdez R, Ruiz R, Koujok K, Schitzer B. ALK positive anaplastic large cell lymphoma with primary bone involvement in children. Am J Clin Pathol. 2006; 125:57-63. Goltzbecker MP, Kersun LS, Choi JK, Wills BP, Schoffer AA, Dormans JP. Primary non- Hodgkin's lymphoma of bone in children. J Bone Joint Surg. 2006; 88:583-94. Maruyama D, Watanabe T, Beppu Y, Kobayashi Y, Kim SW, Tanimotok, et al. Primary bone lymphoma: A new and detailed characterization of 28 patients in a single Institution study. Jpn J Clin Oncol. 2007; 37:216-23. Ng A, Hobson R, Williams D, Morland B. Anaplastic large cell lymphoma of bone. Is it a bad tumor? Pediatr Blood Cancer. 2007; 48:473-6. 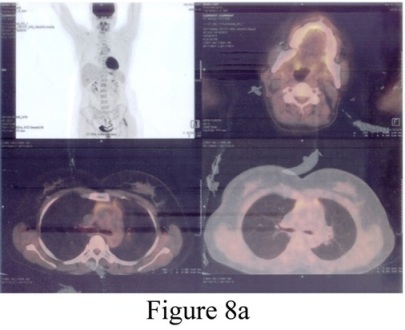 Zareifar S, Monabati A. ALK- negative Anaplastic Large Cell Lymphoma of Bone. Iranian Journal of Blood and Cancer. 2010; 2(2):91-6. Stein H, Mason DY, Gerdes J, O’connor N, Wainscoat J, Pallesen G, et al. 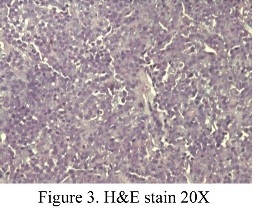 The expression of Hodgkin’s disease associated antigen Ki-1 in reactive and neoplastic lymphoid tissue: Evidence of Reed-Sternberg cell and histiocytic malignancies are derived from activated lymphoid cells. Blood 1985; 66:848-58. Stein H, Foss HD, Dürkop H, Marafioti T, Delsol G, Pulford K, et al. CD30+ anaplastic large cell lymphoma: A review of its histopathologic, genetic, and clinical features. Blood. 2000; 96:3681-95. Savage KJ, Harris NL, Vose JM, Ullrich F, Jaffe ES, Connors JM, Rimsza L, Pileri SA, Chhanabhai M, Gascoyne RD, Armitage JO, Weisenburger DD: ALK-anaplastic large-cell lymphoma is clinically and immunophenotypically different from both ALK + ALCL and peripheral T-cell lymphoma, not otherwise specified: report from the International Peripheral T-Cell Lymphoma Project. Blood. 2008; 111:5496-5504. Falini B, Bigerna B, Fizzotti M, et al: ALK expression defines a distinct group of T/null lymphomas (‘ALK lymphomas’) with a wide morphological spectrum. Am J Pathol. 1998; 153:875‑86. Oberling C. Les Reticulosarcomes et les reticuloendothelio sarcomas dela moelle osseuse (sarcomas d' Ewing). Bull Assoc Fr Etude Cancer. 1928; 17:259-96.